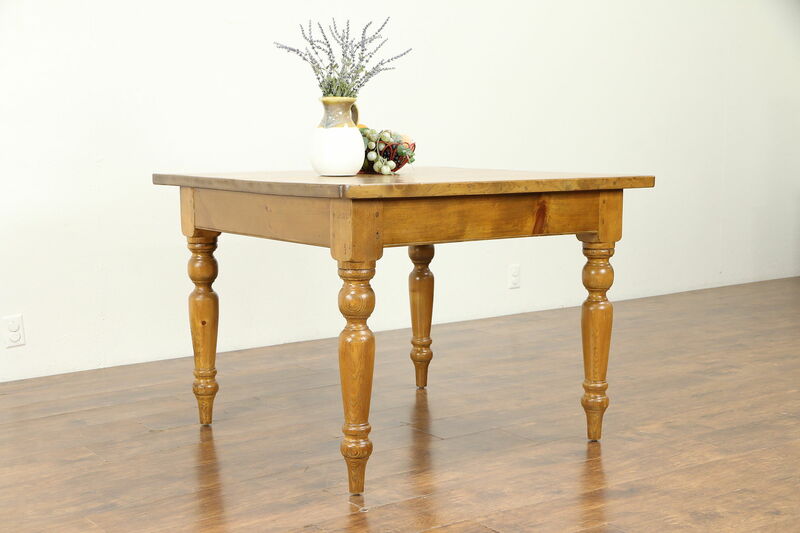 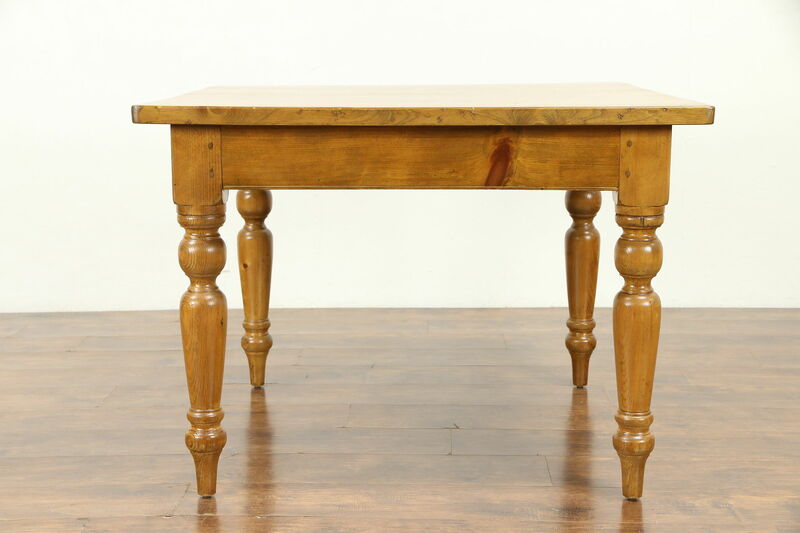 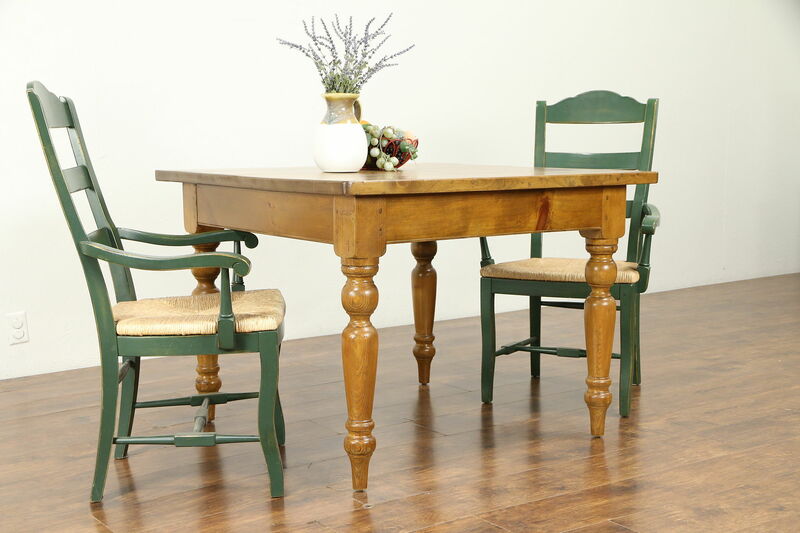 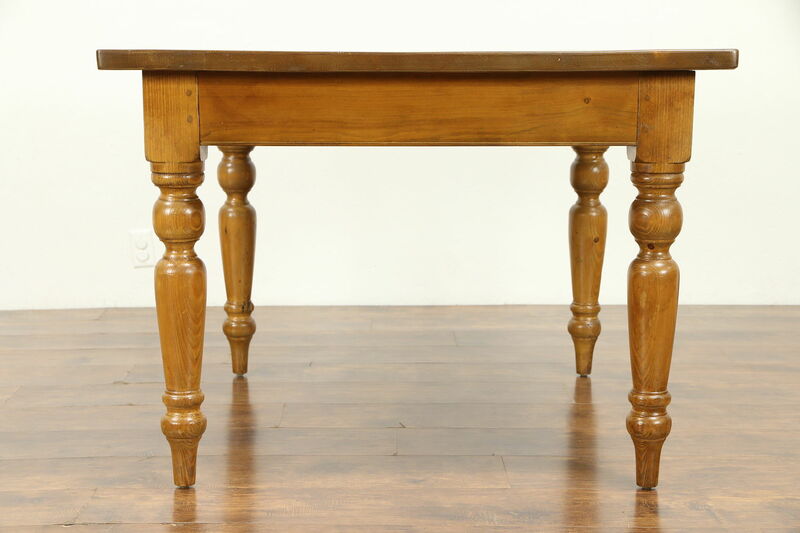 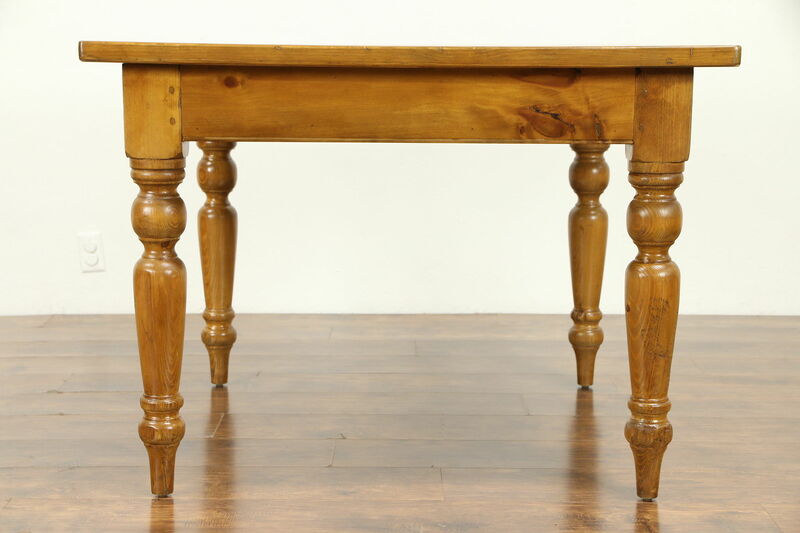 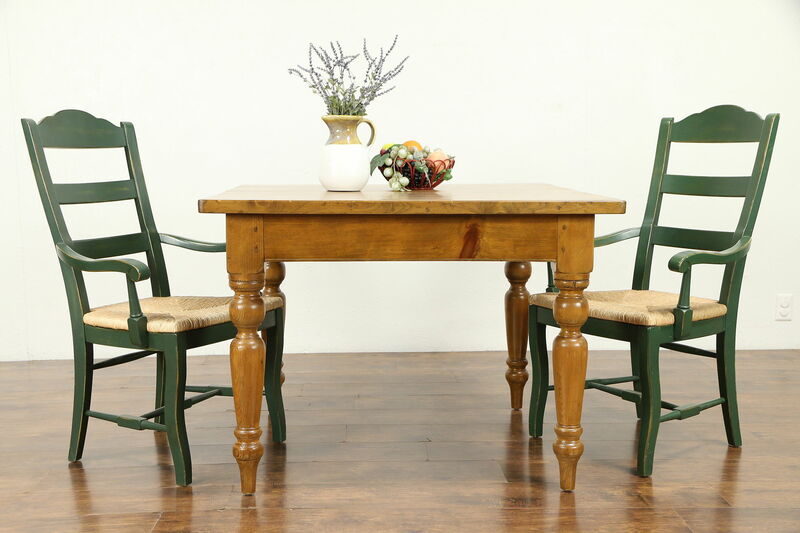 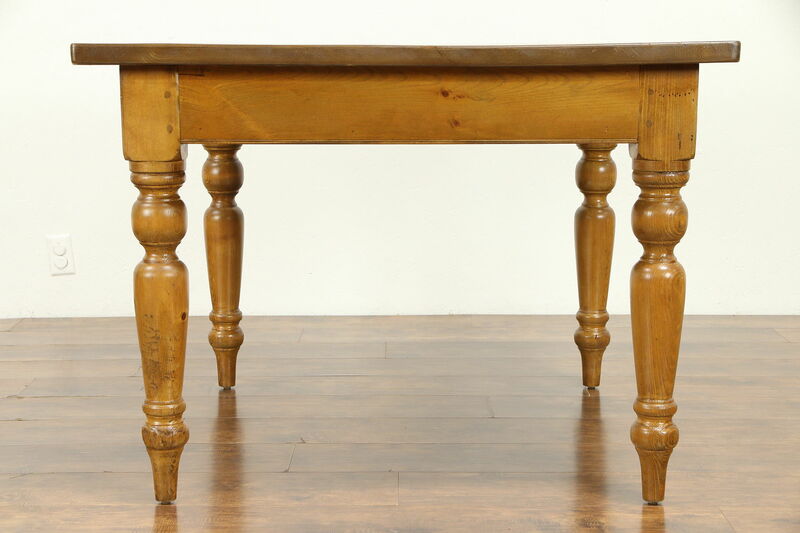 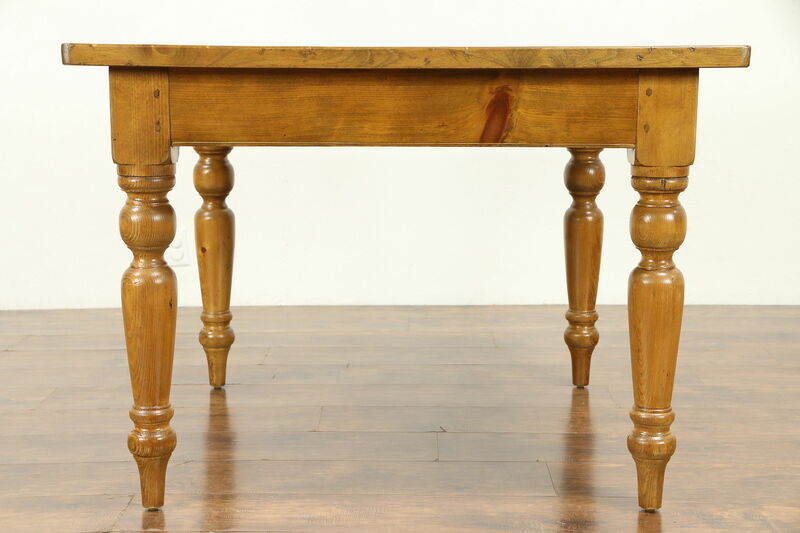 A square country pine dining, kitchen or pub table has a base hand crafted in France about 1880, and the top was rebuilt of knotty pine salvage timber. 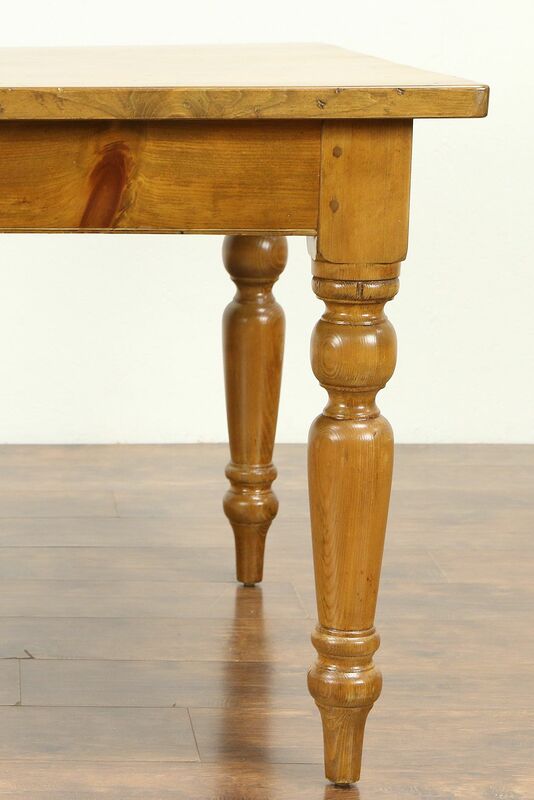 The restored glowing finish is in excellent condition on this farmhouse furniture. 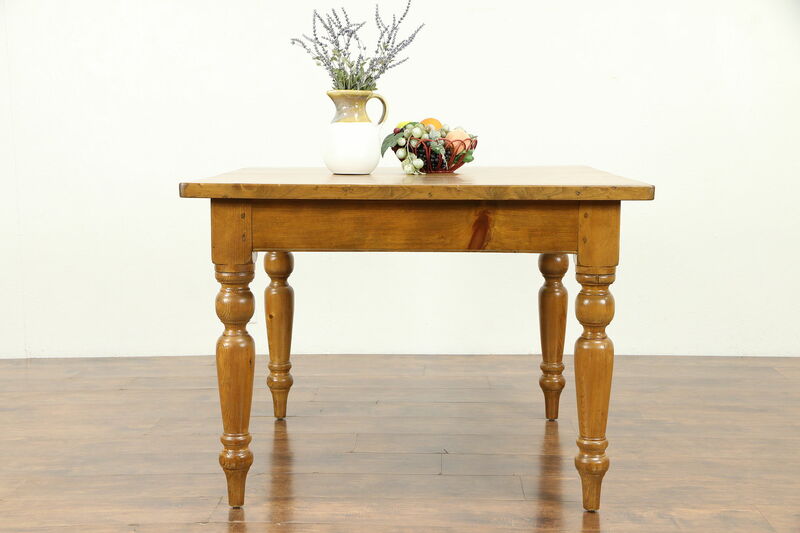 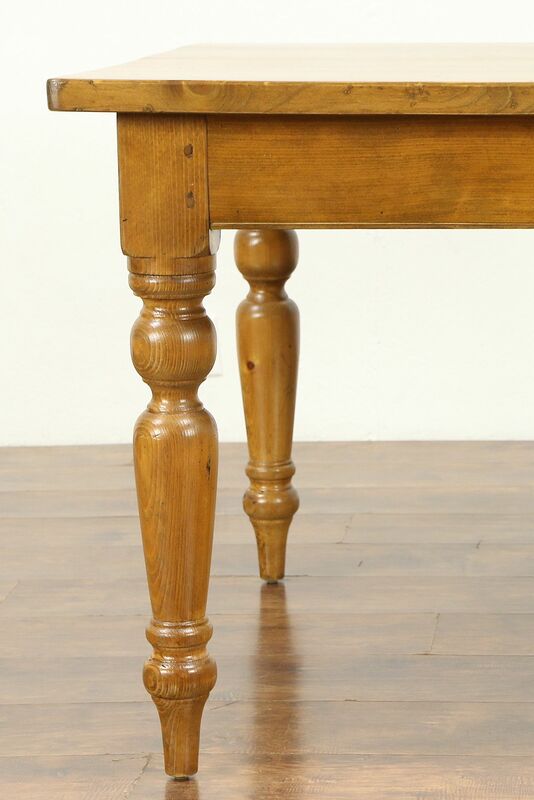 Substantial legs are secured with carved wooden pegs on this rugged antique. 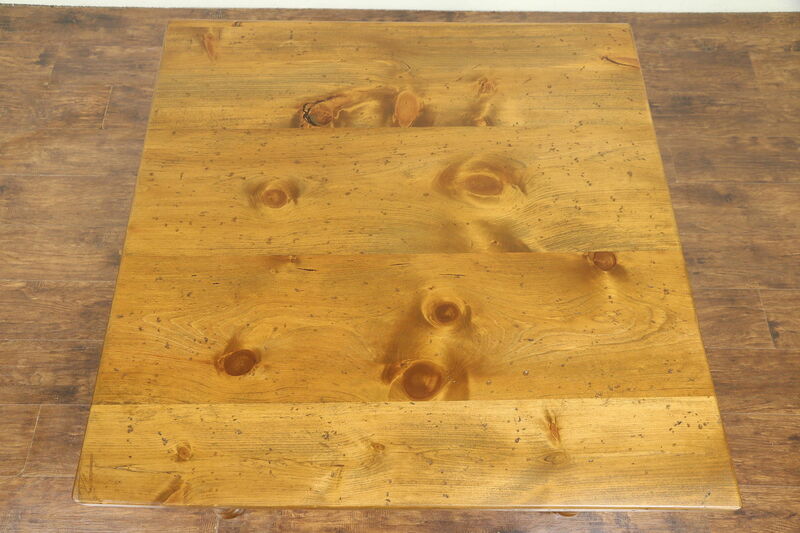 Measurements are 42" square, 31" tall and the top is 1 1/2" thick.